Locals will be able to catch flights to Honolulu from Long Beach Airport as early as this summer, city officials announced today. Hawaiian Airlines will offer daily, non-stop service to Honolulu from LGB starting June 1. The new choice for flyers will not only mean a stop at a popular vacation spot but will also offer connections to international markets like Asia and Australia, according to Airport Director Jess L. Romo. 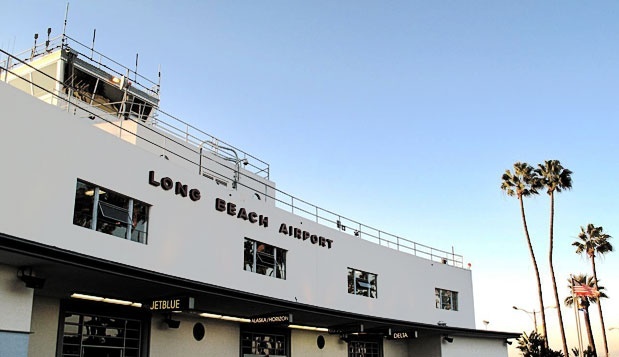 “The charm of your vacation can start here at Long Beach Airport well before arriving in Hawaii, with a walk through LGB’s open concourse and its swaying palms and lush landscape,” Romo said in a statement. Hawaiian Airlines will use one of its new Airbus A321neo aircraft that was also revealed, which “represents the latest engine technology and is among the quietest and most efficient aircraft currently flying,” according to a city release. “The aircraft has been designed to reflect an authentic Hawaiian feel, from the LED lighting that mimics Hawaii’s tropical sunrises and sunsets to the materials inspired by traditional bark cloth (kapa) and fishing nets,” according to Hawaiian Airlines spokesperson Kedzie Schotters. The A321neo seats 189 passengers, including 16 luxury leather recliners in First Class, 44 Extra Comfort premium economy seats and 129 Economy seats, according to the airline. It will feature complimentary meals and allow wireless streaming in-flight entertainment, access to USB outlets and additional overhead stowage space. The first flight from LGB to Honolulu is scheduled to depart at 8:30AM on June 1. Editor’s note: this story was updated with additional information on the aircraft and quotes from airline officials.